Most people engage in different activities that they consider hobbies. When people consider a particular activity as a hobby, it means they find that activity pleasurable, and in this case I find it enjoyable to collect silver coins. In my particular case, the monetary value of the coins is also important. As such, it might also be considered an investment. History tells us that the main reason other generations collected coins was the value that coins would someday attain. The ancient form of coin collecting was even labeled a hobby “fit for the kings” because ancient coins were so valuable that only the kings were capable of collecting them. One of the many reasons coin collecting is considered by many as one of the most popular hobbies in the world is based on its ease of access. When somebody wants to start coin collecting, he can start any time, anywhere. Some people start coin collecting with the coins that they have in their pockets. This phase of coin collecting is known as the “accumulator” stage, where collectors try to accumulate as many coins as they can often using their “pocket change”. I sorta started this way by collecting state quarters. What is it with these quarters that millions of people seem to go “gaga” about? Primarily, doing it is easy as these quarters can be found almost anywhere and the collectible coins do not cost much more than face value. Nearly all of my state quarters were obtained as change from purchases, and a few by purchasing rolls of quarters. At first, the quarters I collected were placed inside a large glass jar. That was perfectly fine for a while until I got a little more serious and purchased some coin storage folders from a local coin shop. The sequence of how the state quarters are minted is based on the order of the states. Basic US history tells us that Delaware was the first state; therefore, this was the first quarter minted. 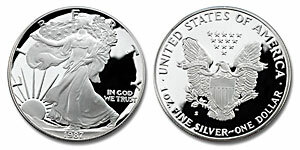 For the sequence of the other states, check the schedule from 1999 to the 2008 of the US Mint. As I learned more about the history of coins and in particular the history of money, my new hobby became more expensive. This is because I chose to collect “real money” in the form of silver coins. And the rest, as they say, is history. Collecting silver coins as hobby is a pleasurable activity that any person can use to create a feeling of gratification, and is a smart way to accumulate money that has true value. This entry was posted in Network Marketing and tagged coin collecting, history of coins, history of money, monetary value, real money, silver coins, state quarters, true value on September 23, 2011 by Vic Bilson.